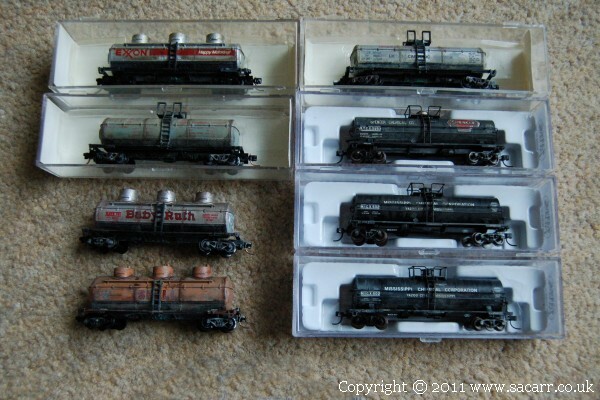 Virtually all of the rolling stock on this layout is new, replacing most of my old stock that were fitted with the Rapido couplers. 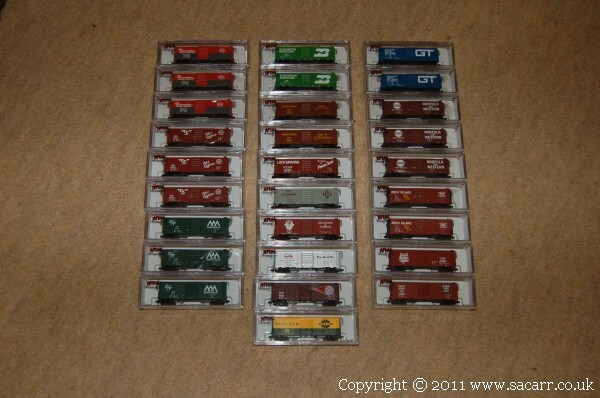 Some of the older stock which was kept had the trucks replaced with new Microtrains units. 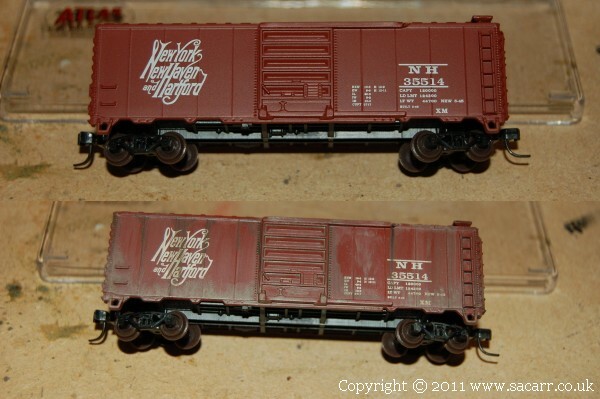 Weathering the boxcars to the right took around 12 hours! 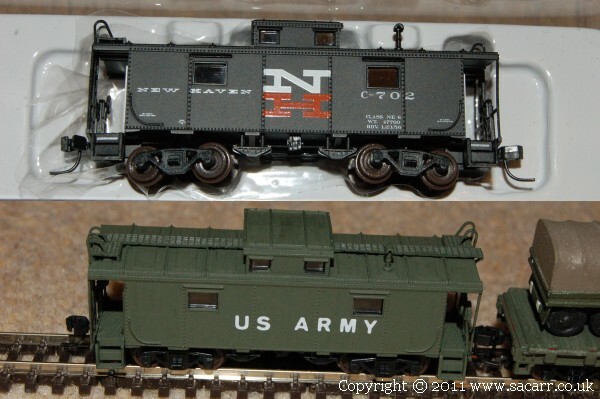 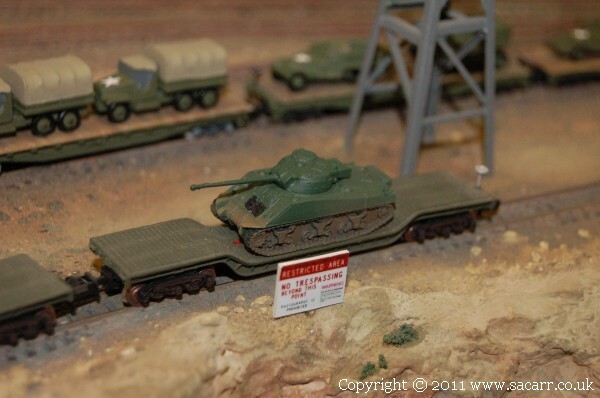 Several cars were repainted to suit the theme of the layout, while numerous flat cars were scratch built to carry a selection of military vehicle loads.